In this fast-changing world, everything you can imagine changes by seconds. The topic of AI has been widely-discussed and its applications have been growing exponentially. 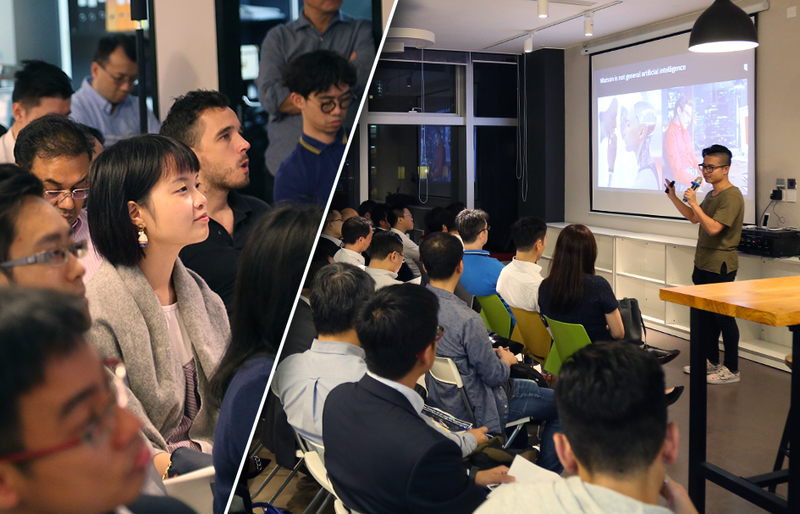 In partnership with IBM, CoWork Tech Hub NDNX invited Joshua Zheng, Program Director of IBM Digital Business Group USA, to share his knowledge and experience in the AI field. Joshua currently leads developer relations for IBM Watson, IBM PowerAI, and Data Science Experience. He spends most of his time talking to developers in various communities to help them build better applications using AI. Before joining IBM, he led software engineering at a data mining company in D.C., where he used machine learning to understand political dynamics around the world. In his talk, Joshua highlighted the perks of AI technology. It helps businesses save cost and human resources by handling complex but mundane tasks such as research and data collection in the long run. AI applications keep coming up in the market, but one does not suit all. In order to be effective, AI applications have to be adapted to businesses’ existing processes and customized to solve specific problems. Joshua rounded up the seminar by showcasing the daily operation usage of Watson Cloud APIs such as Watson Discovery and Watson Visual Recognition with designated programming. His stimulating sharing has immediately granted the audience at NDNX a deeper understanding of AI technology.